Copyright 2010 Hotline Plumbing Services: San Fernando Valley Plumbing. All Rights Reserved. Welcome to Hotline Plumbing. We are a full-service San Fernando Valley plumbing company, geared towards both residential and commercial work. Our knowledgeable staff is waiting to serve you! Customer service is what our company is all about. Our flat-rate pricing allows you to know the price up front, so there are no surprises. We also offer maintenance contracts where we check out plumbing systems yearly. 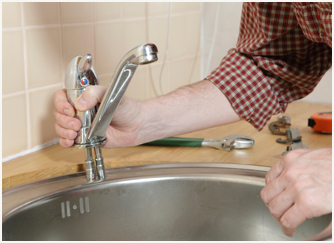 Are you looking for affordable solutions to your plumbing problems? At Hotline Plumbing, our experienced technicians are eager to help you by providing the friendly service you expect and deserve. We are constantly looking for ways to make our services more convenient and cost-effective for you. Having spent two decades performing dependable plumbing in Van Nuys and throughout the valley, we have honed our abilities to work efficiently while never sacrificing on quality. We'll make sure you're getting the best value for each dollar spent. When you've got plumbing problems, it's hard to ignore. That's why we're committed to providing quick response to your needs, helping you keep your home or business's plumbing running smoothly so that you can focus on life's more important matters. Call today to enjoy quality plumbing in Northridge and throughout the valley.